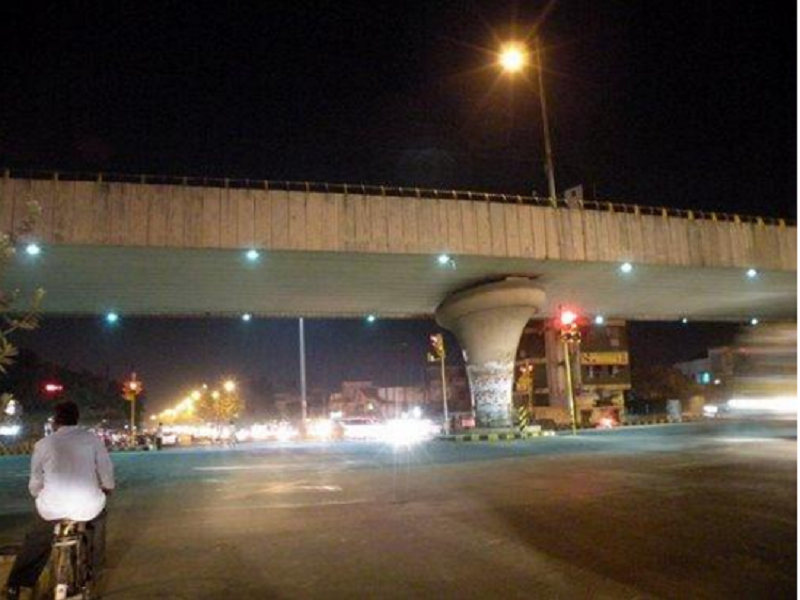 Soon to enter the pages of history is the flyover that served Nagpur for 15 years, our Chhatrapati flyover! Soon to enter the pages of history is the flyover that served Nagpur for 15 years, our Chhatrapati flyover! Nagpur Metro Rail Corporation Ltd (NMRCL) has decided to raze it after Dussehra. It will be replaced by a three km long double decker flyover which will be completed in 18 months. The three km long flyover, only the second of its type in the country, will begin from Ajni Square and end just before Hotel Pride. The four lane flyover will be 22 metres (about seven storeys) high. The metro track will be at this height and the flyover will be at a height of 12 metres (about four storeys). "The cost of the flyover is about Rs 425 crore. The cost is about Rs 120 crore per km and the Manish Nagar spur will cost another Rs 65 crore. NHAI has promised to pay us Rs 414 crore but we will charge them in proportion to the actual expenditure," says Brijesh Dixit, managing director of NMRCL. NMRCL has started work from the Hotel Pride end. It has been digging the foundation and erecting pillars. "Our contractor has been told to finish the work within time even though the flyover too has been included in the scope of work," he said. The structure is a green one. It will have rainwater harvesting facility and the divider will be beautified with plants. Meanwhile, 12 pillars of Wardha Road elevated section are ready. One span has been completed by launching the horizontal segments and pre-stressing it. The girder launching of the bridge over Concor siding has started and work on two bridges over nullahs of the at grade (ground level) section is in progress.